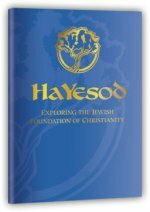 HaYesod: The Foundation resources for groups and individual students give everyone who desires to use the HaYesod course all the tools they need to have a compelling Bible study into the Jewish roots of the Christian faith. As an introduction to HaYesod, or to assist you in sharing what you are learning in the HaYesod program with others, and to help solidify each lesson, we have created a summary that captures the heart of every lesson, in audiobok format. As an introduction to HaYesod, or to assist you in sharing what you are learning in the HaYesod program with others, and to help solidify each lesson, we have created a summary that captures the heart of every lesson. 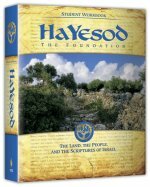 This resource contains the 10 HaYesod lesson DVDs, plus 10 additional video segments covering topics ranging from evangelism and doctrine to personal testimonies and group bible studies. 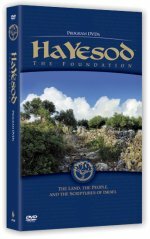 The HaYesod: The Foundation Leadership Manual is virtually identical to the HaYesod: The Foundation Student Workbook, but includes many critical additions specially created for leaders who host groups, including administration guidelines, course management, etc. It includes a complete answer key to the student workbook and has additional leadership notes and helps. 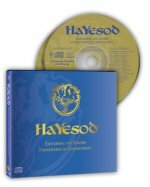 The audio version of the HaYesod Program DVDs contains the 10 HaYesod lessons recorded on twenty CDs. Also included are ten bonus audio segments covering topics ranging from evangelism and doctrine to personal testimonies and group Bible studies. 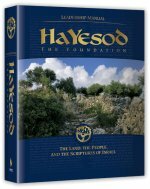 The audio version of the HaYesod: The Foundation, Program Videos, containing the 10 HaYesod lessons recorded on twenty MP3s. Also included are ten bonus audio segments covering topics ranging from evangelism and doctrine to personal testimonies and group Bible studies.